It’s important to teach kids how to negotiate because it’s a necessary life skill. But don’t let them negotiate away your power as a parent. Unfortunately, this is what happens when you give-in or over-negotiate with your kids. As parents, we don’t set out to over-negotiate. But then our kids whine, argue, and resist. They harass us. They turn the kitchen into a courtroom. And we let ourselves get harassed into a negotiation. I see this happen all the time and it never turns out well. Parents mistakenly believe that if they negotiate and give in that the harassment will end. Unfortunately, the opposite occurs. The kid gets what he wants and leaves you alone for the moment. But along the way, he has learned that harassment is the key to getting what he wants. This is a bad lesson to learn, for parents and kids alike. Parents who over-negotiate like this usually have good motives at heart. Nevertheless, the outcome is unhealthy. 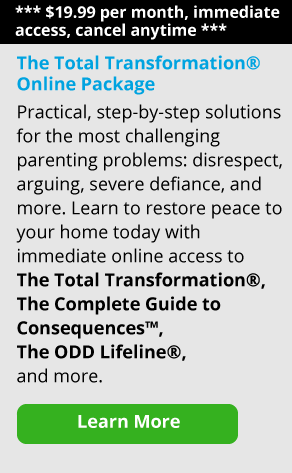 The parent loses authority and the child learns that problems are solved through coercion. They learn that you’ll give away your authority if they push hard enough. And he will be back again to push for more authority. Nearly every parent finds themselves at some point negotiating with their child about their curfew. Can I stay out later? Can I go out on a weeknight? Do I really need to be home by 11? Often, the negotiation seems to begin on the phone, just before he is supposed to be home. Below are some helpful tips on when it is appropriate to negotiate with your child about his curfew, and how you should negotiate with him. Don’t negotiate with the child if he uses the threat of conflict to get what he wants. If he calls and in a heated manner says “I don’t wanna come home yet,” then I recommend that you do not argue or negotiate with him at that time. Instead, simply tell him you expect him home at his normal curfew, remind him of the consequence for not being home on time, and hang up. Kids will do this to you all the time. They’ll bring up the issue of when they have to be home when you’re busy, stressed, or distracted, thinking it will be easier to get you to give in. If your child wants to talk about his curfew while you’re making dinner, tell him you’ll talk about it after dinner at seven o’clock. Give yourself some time to think it through. When you meet at seven, both you and your child will likely have more of a clear head about the matter. Remember, just because your child asks you to talk about it doesn’t mean you have to give him the answer immediately. Take some time to think before you respond. Parents should not negotiate or extend their child’s curfew over the phone, whether it’s 15 minutes or an hour before they’re expected home. In short, if your child calls you and asks to stay out past his curfew, say no. Remember, keeping a curfew is a responsibility, and you don’t negotiate responsibilities. You can think of it this way as well: a child should not be rewarded a later curfew because he cannot meet his current curfew. He has to earn the later curfew. Is Your Child Ready for a Later Curfew? 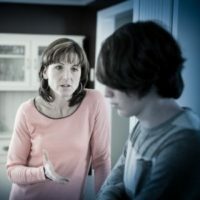 If you do decide your child has demonstrated that he or she can handle the responsibility and is ready for a later curfew, sit down and talk it over. But remember, with every increase in autonomy for your child, there should be an increase in responsibility and accountability. Let’s say your teen wants to stay out till 12 o’clock at night instead of 11 o’clock. You decide that staying out an hour later isn’t going to interfere with your child’s health or safety and that he’s old enough to handle it. 1. How will we know if it’s working? We’ll know staying out later is working if you come home on time and you don’t abuse your privileges. 2. What will we do if it’s not working? We’ll go back to the old time, 11:00 p.m.
3. What will we do if it is working? We’ll continue with this new curfew and we can consider other privileges. These questions are really important because they establish responsibility, accountability, and consequences. What If the New Curfew Is Not Working? That’s how negotiations are supposed to go. They are carried out through the use of proposals, compromises, and ways of measuring outcomes to make sure everyone is doing what they agreed to do. Understand that all these gradual gains in power for your child are really rungs on a ladder that lead to independent functioning and adulthood. And what you want your child to know at the top of the ladder is how to solve social problems and functional problems, how to get along with other people, and how to live the right values.